My favourite thing about autumn is… the weather! It’s way too hot in in summer, and too cold in winter for me, but the Australian autumn is perfect. I love curling up in bed with a good book and a hot drink, mmmm. Oh dear, this is a toughie. 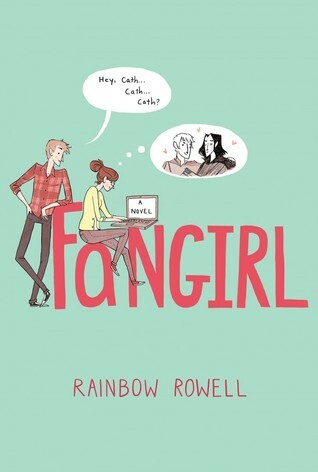 I’m going to have to go with Fangirl by Rainbow Rowell, but blogging/fanfiction reading instead of fanfiction writing, as well as without the YA romance, haha! 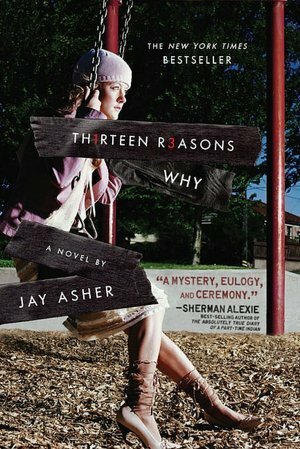 The base story of the new TV series that everyone’s obsessing over, the cover of Thirteen Reasons Why by Jay Asher gives me serious autumn vibes. Hannah’s outfit is very autumn, and the even though the trees behind her are green, the colour of the ground is very warm, orangish tones. I’m not a big horror person, sorry! But, would Miss Peregrine’s Home for Peculiar Children count? I feel like it would, so I’m going with that. I’m not really a big horror person, but I do love halloween! My favourite halloween film is definitely The Nightmare Before Christmas! I love everything about it, and even have the soundtrack downloaded on my phone, haha! 6) What autumn book release are you looking forward to? Look for the June Anticipated Reads post for more information about these books, coming up soon! Ok, so as you guys can probably tell from the list, I’m a big comic and fantasy fan. I love the spider-verse so much, and I’m super excited to see Tom Holland’s version of Spider-Man, he seems to capture the Spider-Man essence really well, and I enjoyed his little appearance in Captain America: Civil War. Did you guys catch his lip sync battle against Zendaya? If you haven’t, go check it out on YouTube!! It’s so funny. Wonder Woman seems super promising too, with Gal Gadot being so badass, and it’s so good to have a strong female-led superhero movie, I have high hopes!! I love all of the Pirates of the Caribbean movies, Johnny Depp as Captain Jack Sparrow is just way too funny and entertaining! The PotC movies are a favourite in our house. Strange the Dreamer is just as beautiful on the inside as it is outside! Ahhhh I can’t wait to read it! This is a cool tag. I might have to save it for use in a few months when it’s actually nearing autumn here in the USA. Thanks so much for tagging me 🙂 I’m alway slow to do tags but I’ll try and get to this one soon, I do appreciate being tagged. You’re welcome! I look forward to seeing it when you get around to it, no rush at all! Aw haha, isn’t it strange how different countries have different seasons?